When I started to tumble down the rabbit hole of the wonderful world of craft beer I was drawn to big American hoppy beers, beers with crazy or weird ingredients or the really boozy ones, anything limited release or special and anything that came in big 750ml bottles. Years later, things are a bit different, besides the fact I’m older and don’t bounce back from hangovers as well as I did when I was in my twenties. I’m not putting a ban on 750ml bottles from my life, I’ve got about ten in the fridge right now and that’s half the problem. The main reason, and I do realise how indulgent this sounds, is that I have so many of the damn things. They’re in my fridge just taking up space and most of them I can’t even remember when I bought them. I wouldn’t be surprised if a few have been in there for almost a year. You have to find the right occasion to open one. More often than not, the beers in the 750ml bottles are either of the imperial, barrel aged, wild fermented or sour variety or frequently a combination of two or more of these; weird additional ingredient optional. In short they’re usually not very subtle beers and so sessionability goes out the window along with the chances that they get opened on any given evening. I am very aware this is a first world problem; sub-category: first world beer geek problem but I am going to keep writing anyway. Logically I know 750ml is less than one and a half pints and on any given day I’d be happy to have a pint and half of beer but usually it’s not some 10 percent palate wrecker beast of a beer. When I am looking for a thirst quenching beer after work I don’t reach for a 750ml bottle of barley aged Barleywine. A little more thought to occasion and company goes into opening the big bottles, you know, the “right” occasion. What is the “right” occasion? With one special, limited release bottle of beer I had it was months after I finally opened it but it wasn’t for a lack of trying. On a handful of occasions I went to open it but time and time again it didn’t happen, sometimes it was because my fellow drinkers weren’t really into it or because we had all enjoyed maybe a few too many drinks already. In the end, instead of opening it for a particular occasion my partner and I shared it on an ordinary Tuesday evening, for no reason at all other than enjoying the beer, and it was fantastic. Saving a beer for a special occasion also puts a lot of expectation on that beer, something it may not be able to live up to regardless of whether the expectations were reasonable or not. An exception to all of my above feelings is the ‘bottle share’ – gathering mates and all the big bottles you’ve got to share with everyone. After realising the unreasonable oversupply of 750ml bottles of various Russian Imperial Stouts in our fridge, last year a few friends came over to our house for a Russian Imperial Stout bottle share and it was a sensational night with an exceptionally awful hangover the next day. 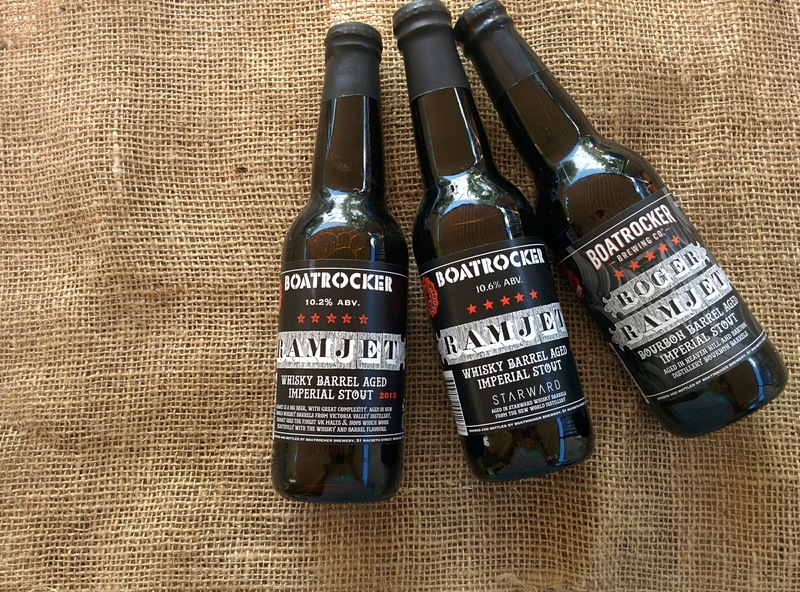 I love finding big beers in smaller formats like 330ml bottles or cans, like Feral Boris – a Russian Imperial Stout – or Boatrocker Ramjet – a whisky barrel aged imperial stout. It makes it significantly more appealing to me to buy because it doesn’t require a small army to drink it and I can buy a few bottles and enjoy over the course of a few nights. Of course many 750ml bottles are limited release beers so on some occasions I feel compelling to buy them, but only some occasions. Coming soon on the blog, why I’m not hunting down every limited release beer. You know, it was for that very reason, when Speedway Stout presented itself in a smaller 440ml can format, i couldn’t wait to open it that day and ill grab another to age.